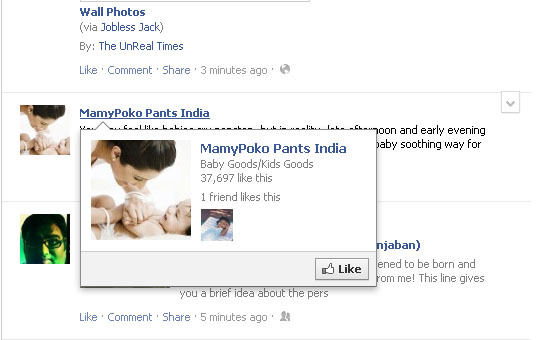 Home » social-media » Facebook Promoting MamyPoko Pants? Pooja, I saw this only once too. It didn't show up when I refreshed the page. Probably testing a new feature? Or could be just a bug? I saw something like this today. Tucked away inconspicuously in the news feed, a box showing an article from the Washington Post. Unsolicited. Not categorized as an ad. It could be possible that the article was read by one of your friends. The news feed shows stories like that, when friends read articles on Washington Post or Yahoo News etc. No, it wasn't there because it was read by a friend. It just said 'trending story on the Washington Post' and it was formatted differently too.